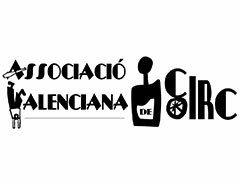 The CIRCUS ASSOCIATION OF VALENCIA was created in December 2003 by the need to create a space for contemporary circus in Valencia. It is a not- for- profit organisation created by ten Artists wanting to make Circus part of the cultural life of Valencia. In April 2004, L’ESPAI DE CIRC was opened. It was the first space in the County of Valencia to focus on contemporary circus, with over 200 square metres of floor space for professional and hobby training, courses and shows. Today there are nearly two hundred members, made up of students and performers, that participate in different ways in our activities. The CVA has created and shown XXVI cabarets quarterly and imparted many workshops and regular courses with some recognized professionals from all over Europe. It is now working toward being the first CIRCUS SCHOOL in the Valencian County and is working with the town hall to create a STREET THEATRE CIRCUIT in Valencia, along with other projects. For more information see the website of Associacio Valenciana de Circ.